The biggest Well in Calub oil site. Addis Abeba, April 08/2019 – On February 27, 2019, a group of friends and I unexpectedly decided to travel to Hilala oil site without prior discussion. This unplanned journey turned to be a long trip towards Calub oil extraction site, the biggest in the Ogaden Basin which is also known as Jehdin (Jeexdin). 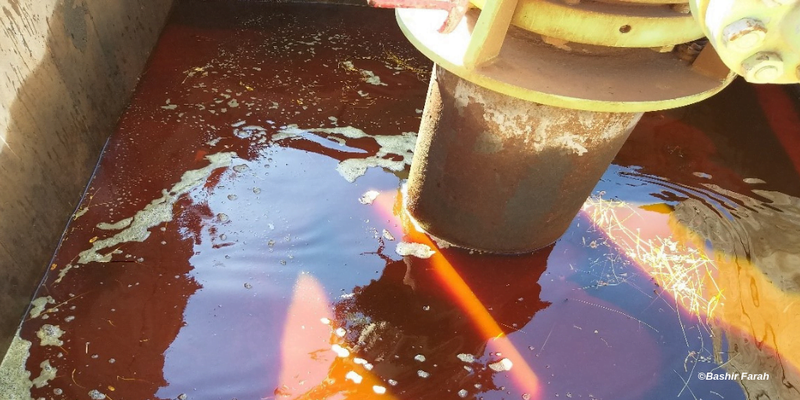 My primary objective was to see the actual scene where the first barrel of crude oil was recently extracted. I was also very keen to understand the extent of support that the local communities around the extraction sites receive, both from the companies involved in oil extraction, the regional administration, and the federal government. 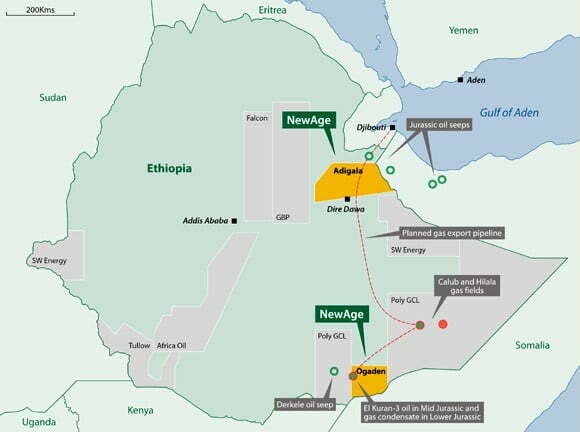 It was an unprecedented golden opportunity that enabled us to acquire access to see the highly securitized oil extraction sites in the Ogaden Basin. However, at first glance, what became apparent to us was the orchestrated secrecy around the widespread marginalization which was in full display, and the large-scale destruction that could have been prevented. This observation compelled me to write this piece in order to highlight the actual situation on the ground. 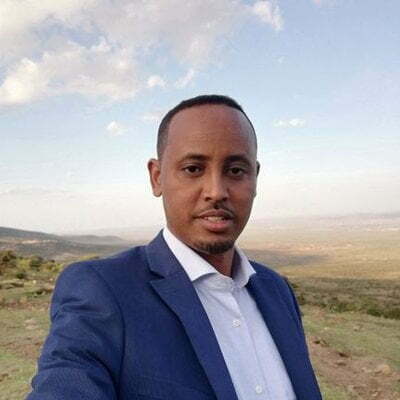 Without the recent political changes in Ethiopia, and the ousting of former Somali Regional president Abdi Mahmoud Omar which followed, I would certainly not have had the same access to the Calub and Hilala oil sites that I was fortunate enough to have now. Emotionally, I was intensely distraught by being a witness to a dire situation that rendered me completely helpless and made me feel as though there was nothing I could contribute. The living standards of the local communities and their desperate fight against poverty was extremely heartbreaking. Against the backdrop of their plight, we find gas reserves and oil fields without any physical production, companies that never take the plight of locals seriously, and authorities that never fully represented their communities, all contesting fraudulently in Calub and Hilala. On top of this, poor infrastructure coupled with the existence of very limited amenities worsened the situation- because while the aforementioned actors contested over billions of dollars worth of resources the communities under which these resources lie are lacking the very basic necessities in life. In more general terms, from the public perception, oil exploration means the imposition of new restrictions on the local community rather than something which will pave the way for local economic improvement. As such, among the local community, a famous saying goes “the resources in Calub and Hilala will make Ethiopia rich but will keep us impoverished” which poignantly captures the ordinary person’s thoughts around these resources based on their experiences. 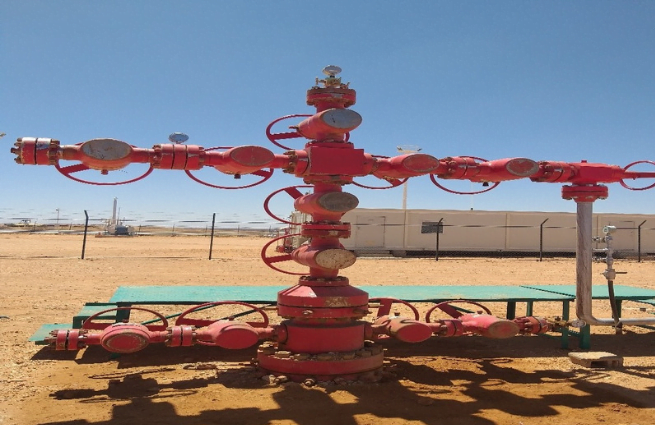 On June 2018, Chinese owned Poly-GCL Petroleum company conducted the first ever crude oil extraction tests in the Ogaden Basin. The inaugural ceremony of the crude oil tests was attended by federal government representatives, the then Somali Regional state President Abdi Mohamoud Omar (Abdi Iley), and senior executives of Poly-GCL Petroleum. However, the history of oil exploration in the Ogaden Basin dates far beyond the present century. It is a history which spans three successive Ethiopian regimes: emperor Haile Selassie I, The Derg, and the current government led by EPRDF. Between 1955-1991, 46 wells have been drilled in Calub and Hilala oil sites. Aside from recently discovered wells and ongoing explorations, Calub and Hilala oil exploration sites comprise of nearly 32 wells. Despite this long history, the communities living in these areas remain somewhat doubtful of the physical existence of the crude oil that has been tested just a few months ago. While they clearly witness ongoing exploration/ extractions activities past and present, their sense of suspicion arises from the sheer imbalance between the long history of oil exploration and the perceived benefits from the companies involved in such activities. In other words, if this prized resource does in fact exist- why have we not gained a single thing? Thus, from the eyes of the local community, oil discovery in Calub, Hilala and elsewhere in the region remains a fantasy engulfed with the possibility of wealth, but which remains inherently inaccessible. Over the past 70 years, there has not been a single period where one can claim to have witnessed some form of harmony between the expectations of local communities and the activities of these corporations, nor have we witnessed any tangible contributions made to the lives of those directly affected by these very activities. Hilala-6 Well where the first barrel of crude oil was recently extracted. When oil exploration in the Ogaden Basin started in the 1950s, people were genuinely hopeful, smiling and congratulating one another on the discovery of oil in their villages. It was conceived of as something valuable, with the potential of contributing positively to their quality of life. After 70 years of persistent explorations, for the first time, light crude oil from Hilala site began to be extracted on a trial basis. Nonetheless, this long-awaited and eagerly anticipated event did not bring with it the same hope that news of its existence first brought to the population. This is because the mechanics behind oil extraction is virtually invisible to the public eye, what was evident however was that, just like in the past, recent extraction tests have brought no economic benefit to the local people whatsoever. Furthermore, although a quarter of the working age population of Qorahay and Shabelle zones are unemployed, there have been no attempts at job creation by the oil companies operating in the oil sites. Nor have they attempted to hire the vast number of young people on the job market within this impoverished community, instead relying on hiring from outside. Thus, it appears that the important practice of localization and contextualization of oil and gas extraction activities remain largely ignored at both federal and regional levels. For instance, the nearest village to Hilala-6 Well is Armale (Carmaale), where people are dying of hunger due to severe food and water shortages thereby having to rely on traveling long distances for this basic provision. Meanwhile, homes inside the closed-off oil fields are well decorated, ventilated, and with the availability of running-water, electricity and other essential infrastructure. Moreover, the communities residing around these sites have no access to health services, and no available roads except for those exclusive to the companies operating in Calub and Hilala. In short, comparing the residential areas for the employees of Poly-GCL inside the campuses with the homes of the local people is frankly equivalent to the comparison of heaven and hell placed side by side. As far as local communities are concerned, the situation in Hilala bears the resemblance of a dying cow milked by a stranger, and Poly-GCL’s negligence of the local community is testament to this. The Chinese state-owned company has displayed a total disregard for the lives and livelihoods of communities who reside around extraction sites, their poor living standards have been exacerbated by a brutal disruption in their particular way of life as nomadic communities who depend wholly on their livestock for survival. Oil exploration activities have essentially shrunk the lands that nomads rely on for grazing, while imposing new restrictions around the movement of animals, killing anything and anyone in sight who trespasses certain demarcated areas. It is worth mentioning that such restricted areas are made up of confiscated lands that have led to a systematic pattern of forced displacements and the loss of livelihoods. In short, perhaps the least of the troubles brought by companies such as Poly-GCL is the thick dust that rises in the skies of Armale and Dhoobaweyn triggered by massive lorries transporting equipment. Despite the decreased visibility caused by this rising dust, and the overall decrease in air quality, it appears that this is the least of the negative consequences that the presence of these corporations has had on the ancestral homelands of the local communities concerned. Generally, oil exploration is considered a high-risk game. In the Somali Region, the risks associated with oil extraction and exploration to the immediate community and the wider region has never been assessed scientifically. Moreover, not a single study has been conducted on the direct and indirect health effects of oil extraction. According to experts in the field, oil exploration can have direct and indirect health effects. While direct health effects are those that result from the direct consequences of oil exploration, indirect health effects are those that result from the presence of the highly lucrative oil industry in the largely impoverished Elele and Dhoobaweyn districts. Neither Poly-GCL, nor the regional or federal state have taken any measures to ensure the protection of local people and the environment by raising any such concerns or creating some form of awareness from a public health perspective. Currently in terms of health, people are stuck in a stage of limbo where they seem to be caught between addressing the direct and indirect health issues caused by oil extraction and the uncertainty around what will happen next. The first issue relates to the lack of transparency around extraction activities even in terms of essential information regarding the economic development and benefits for local communities, particularly around designated budget shares allocated for the development of local communities, all of which remain a completely hidden agenda. The second is the total absence of regional institutions or civil society organizations that could have represented the interest of local community and prevented the occurrence of any detrimental effects of oil exploration, in terms of both health and the environment by holding companies accountable. Essentially, neither the Somali Regional State nor community representatives have ever formally discussed these critical issues of concern with representatives of oil companies. 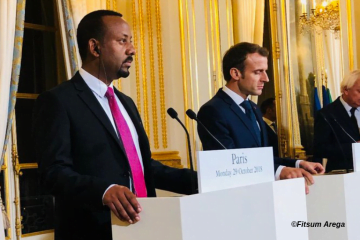 More importantly, companies involved in oil exploration and extraction do not appear to recognize the Somali Region as an important stakeholder whose interests supersedes that of any other actors involved. The third is the pervasiveness of impunity exercised by Poly-GCL and its sister companies, and the disregard towards the most worthy stakeholders who live within the vicinity of these key sites. Poly-GCL has employed as little Somali employees as possible to perpetuate their culture of impunity. According to zonal administration records, 4,500 employees are working at Calub and Hilala. Out of these, Somalis working for Poly-GCL only make up just 50 out of the 4,5000. Between these three factors, the toughest problem to tackle is how to limit the culture of impunity and lack of transparency around the practices of Poly-GCL and its sister companies.